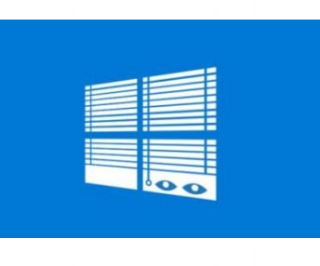 On the bottom left of your screen, type “privacy” in the search field to the right of the Windows logo. Select Privacy Settings. The Privacy Settings screen will open. In the Privacy Settings screen, select General. Select the option which states ‘Let apps use my advertising ID for experience across apps’. It should now be set to Off. This resets your ad ID, allowing you to experience the joys of web surfing without targeted advertisements. Windows 10 may be making your computer’s physical location available to applications, and therefore other 3rd parties. While your computer may not have GPS capabilities, it can probably see wireless networks in the area which have already been mapped. This provides a pretty accurate location for your device. On the bottom left of your screen, type “settings” in the search field to the right of the Windows logo. Turn Location Service to Off. This disables all location reporting for all users of this computer, (or if you’re not the Administrator, just for your user account). On the same screen under Location History, select Clear to remove all the saved information for this device. Voice-controlled digital assistants have become big business. Microsoft aims to capitalize on this market with Cortana, an incredibly resourceful, built-in assistant that allows to you quickly set reminders, schedule events and send email, among many other intuitive features. It uses the information it collects similar to how Google’s Android-based assistant does it. However, it can become overbearing at times and is concerning given that it is always “listening”. Select the Cortana icon on the right of the search field in the task bar. Select the Notebook icon on the left-hand side of the pop-up panel. Turn this setting to Off, ‘Cortana can give you suggestions, ideas, reminders, alerts and more’. Remember Internet Explorer? Think of Microsoft Edge as the same, just on steroids. The tech giant’s fancy new browser is chock full of features — such as Cortana Integration and typing prediction — which may make you uncomfortable, since all the features send data back to Microsoft. Open Edge and select the menu icon in the top right corner (three horizontal dots). Select Settings > View Advanced Settings. These simple tips are a good start in protecting your privacy on a Windows 10 system. If you’d rather let LexCloud.ca handle your firm’s complete IT privacy and security so you don’t have to, don’t hesitate to contact our legal IT experts today at simplify@lexcloud.ca.